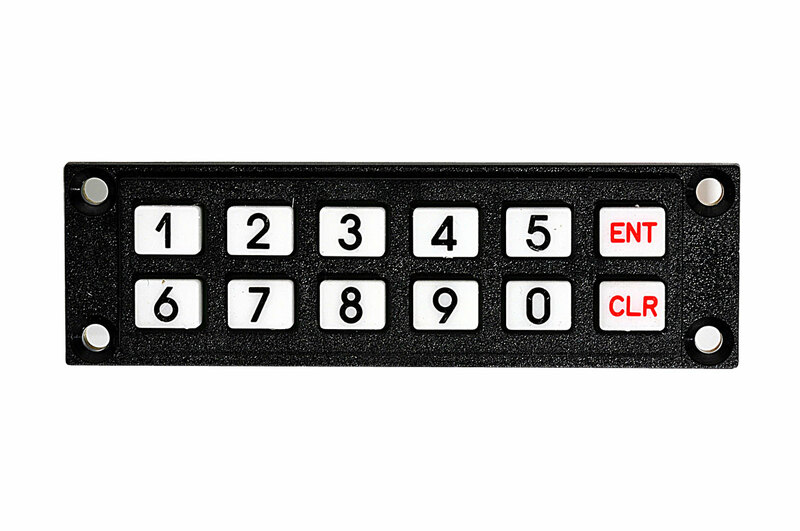 This is a basic 12 button keypad for user input. The buttons are setup in a 3x4 matrix format. 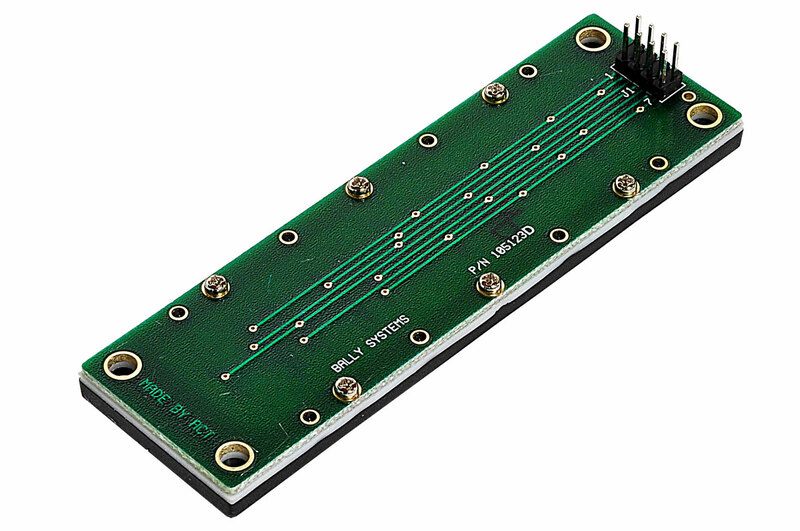 This allows a microcontroller to 'scan' the 7 output pins to see which of the 12 buttons is being pressed. 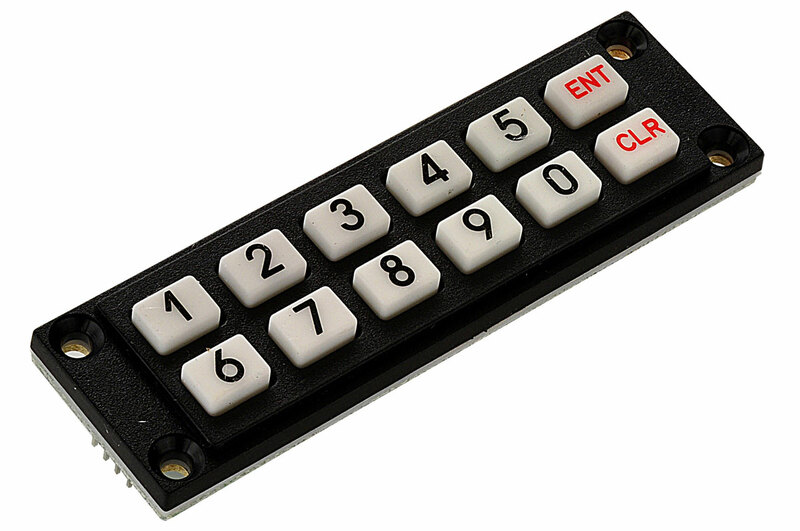 We got 200 of these keypads from a surplus store. Hurry up while supply lasts! This is a very high quality keypad use on the slot machines. The rubber buttons feel great when pressing. 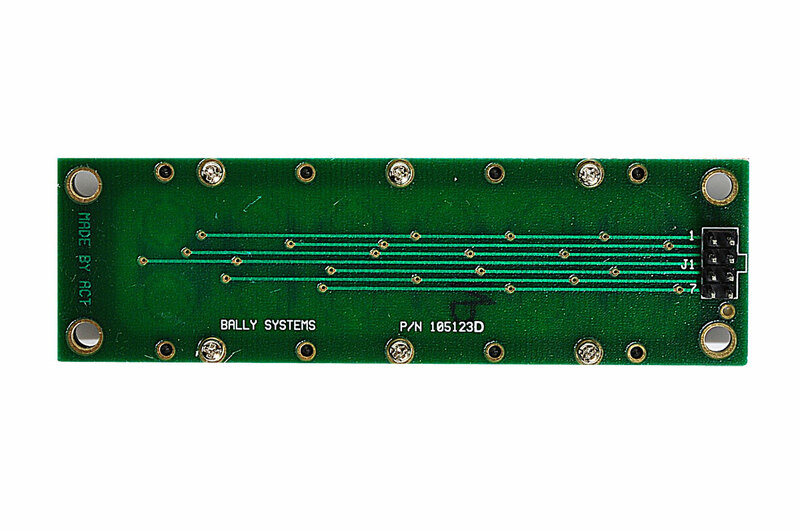 There are four mounting holes on each corner.